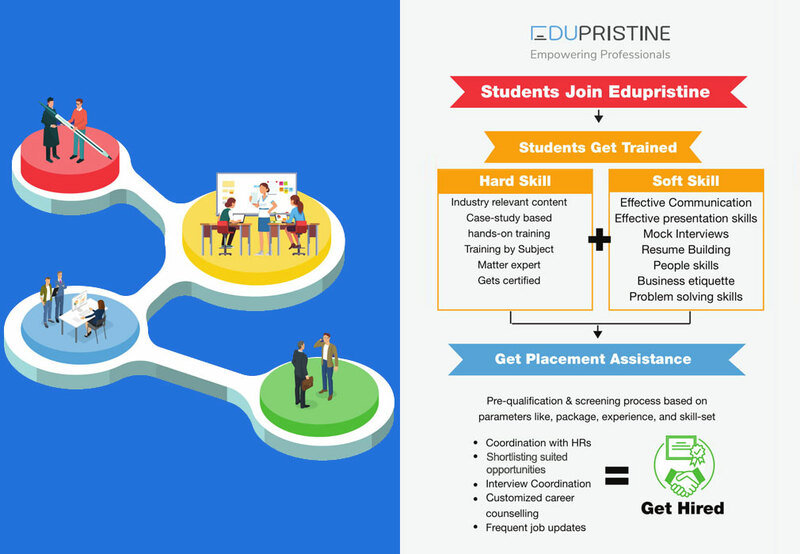 EduPristine is dedicated to help its students optimize their potential in their field of interest. Soft skills are crucial for your progress in a corporate career. Hence, it has been made an essential part of the classroom program. The Career Services team guides the students to choose the right career. They also provide domain knowledge, skill, and aptitude to cater to the manpower requirements of the Industry. The Career Services team conducts a pre-qualification and screening process to ensure that you get the right opportunities in line with your aspirations. The Career Services team also works closely with the HR departments of Companies to understand their requisites and recruitment procedures/processes. Feedback received from the recruiters is used to analyse the job requirements with the skill sets of our students.This helps us guide our students better for such opportunities. The Career Services team identifies the needs and expectations of the companies to assist them in recruiting the most suitable candidates. They even help with scheduling interviews and arranging the hiring process.